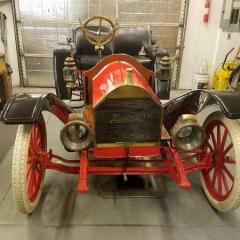 Hi just bought a hupp 20 circa 1910 only seen the car have not heard it run or driven it . 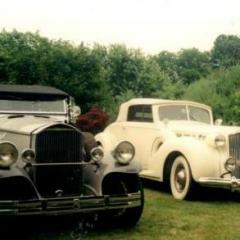 Little background i grew up with model A fords and i restored 27 model Ts worked on countless more. Hit and miss as well as steam also ran/ restored. Friend has had this car for 30 years sitting on stands he says he has 9 other cars that kept him busy so i agree take this jewel off his hads. Hope get incontact with knowledgeable folks who enjoy them im sure i have a few question. Congrats Buzz! Looks like a really nice car. I love the monocle windscreen. I think the Hup 20 compares pretty favourably with the Ford Model T (I've owned both). There is some good knowledge on this forum so if you have any questions when you start playing with it, someone should be able to help you out! I'm very familiar with the 20, having a restored one in my garage now and have worked on two others. There are other people on this forum even more knowledgeable than I am, so post away on questions! Pictures of engine would be interesting, and serial numbers. Should be a brass tag on dash with car number, then the top of the flange that connects engine to transmission will have an engine number. If a 1910, your data plate number should be somewhere in the 1500 to 6500 range. If it has the original Breeze carb, I can send you an electronic copy of the carb manual. I forgot about reading the tag as i was digging through the seller library for the paperwork and goodies that come with it. Heres a pic of the carb not sure what it is? Interesting the carb looks like it is a Breeze which is the correct make but it is not the correct model for the car. I think this is the Model that Breeze produced before the H3 used on the Model 20. Doesn't really matter they come with all sorts of carbs. I have the correct Breeze on my car but when I got it it was running a Model NH Holley on a butchered manifold. The NH was to big for the little Hupp engine so idle wasn't as smooth as I would like but top end speed was really good -Now I have the reverse with the original carb Idle is great but top end speed is about 35 mph. 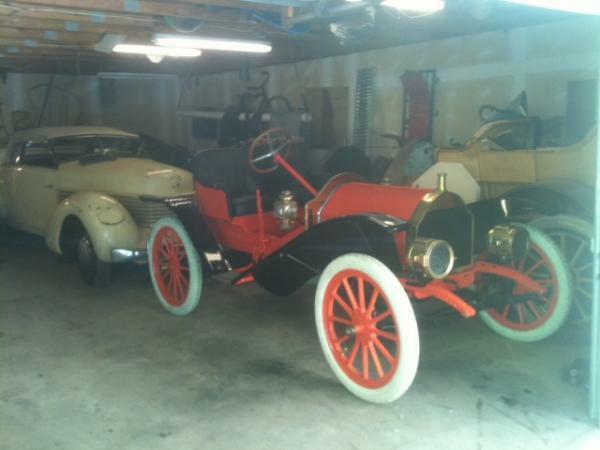 I've run both Model T's and my Hup. The Hup is a fine little car and I think probably equivalent to a Ford Model R or S in terms of overall performance and usability. The T is more advanced and not quite as fragile it also has the advantage that parts are a lot easier to find . However I consider the T a little lacking in soul compared with the Hupmobile . Karl is correct, that carb is interesting but not the model Breeze that would have come with the car. Most replacement carbs won't fit, due to the bottom of the intake manifold "J", and thus the manifold gets butchered. I did have one Hupp with an extension and a Stromberg OF carb on it, which is the right size, but lots of modification to linkages for it to work. I'm not an expert on these carbs, but from the picture will comment on function. The large round knob on the top is the lean/rich adjustment for the needle valve. 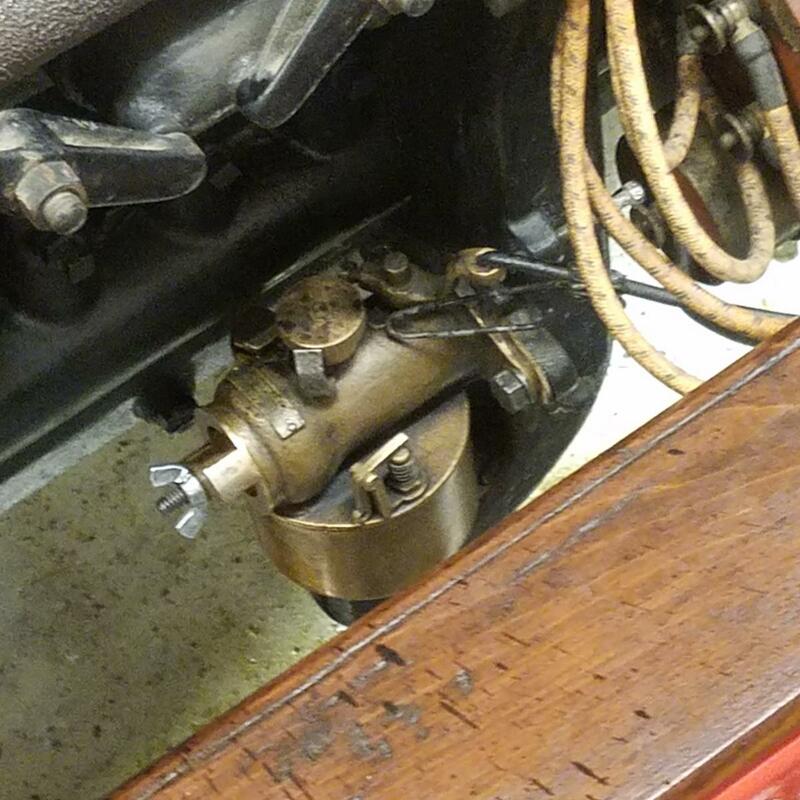 On an original Breeze carb, you usually have to screw it out a few notches to start, then screw it back in until car runs correctly (thus leaning the mixture), thus the carb is NOT like many, where you set it and forget it. The front wingnut (which doesn't look original by the way) is the air valve adjustment. This is usually set and not fooled with once it runs well. The small lever and spring loaded pin on one side of the bowl top is probably a flooding valve, so that when you start the car, the bowl is flooded with gas. 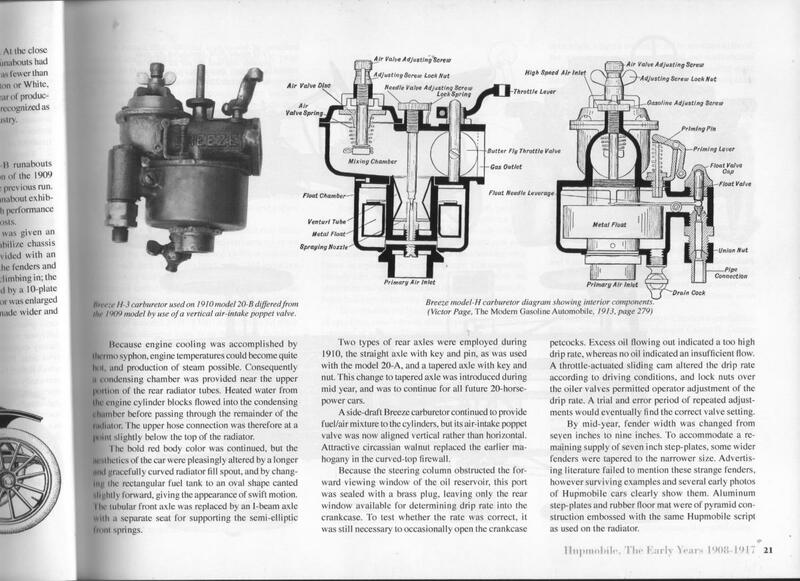 The reason the lever faces forward is that usually it was attached to a wire through the radiator, thus when you're cranking the car you can "choke", or flood, the carb. I'd bet your rich running has more to do with adjustments than with incorrect carb. Not a big tour guy as last few T tours i been on all i did was fix other folks cars or flat tires and could enjoy the tire yes i love to Help but when folks go and enjoy while im out working well you get the picture.